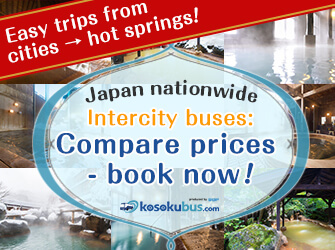 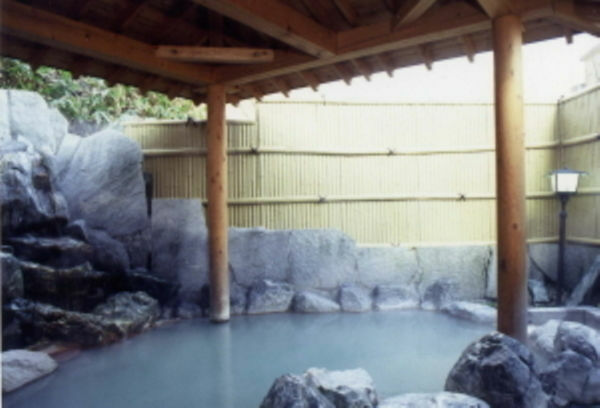 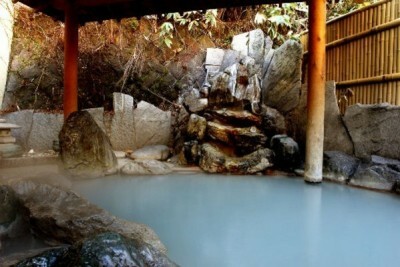 With eleven types of hot springs and up to ten thousand tons of hot spring water spouting up in one day, this is one of the best Hokkaido hot spring areas. 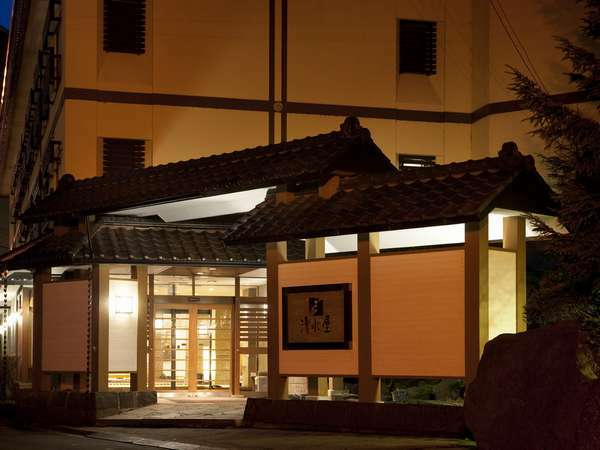 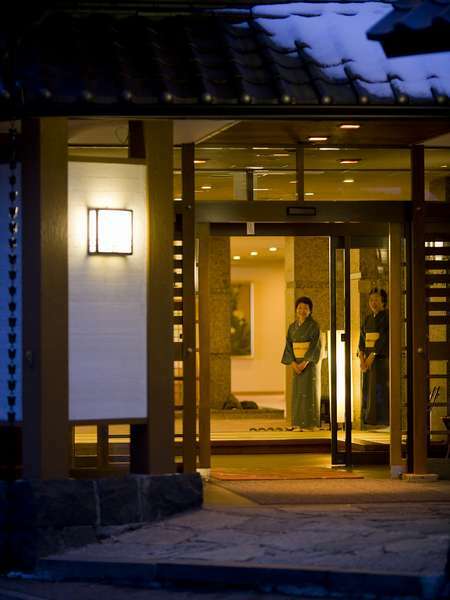 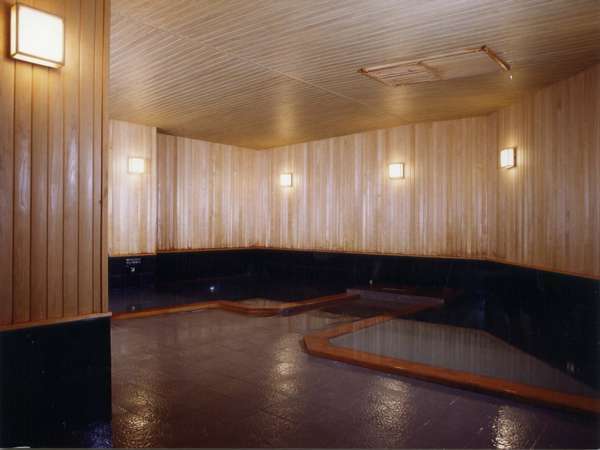 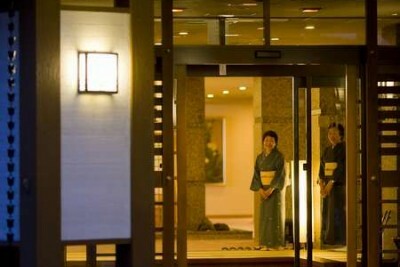 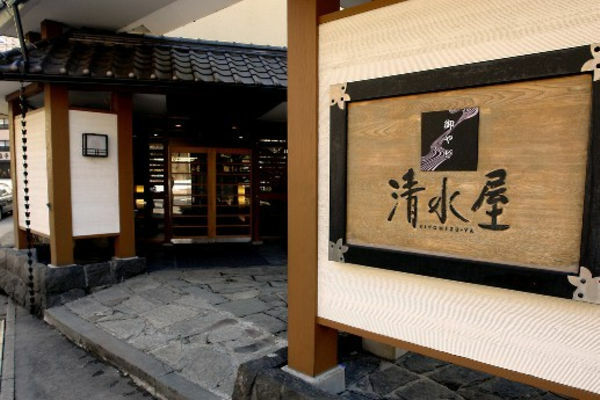 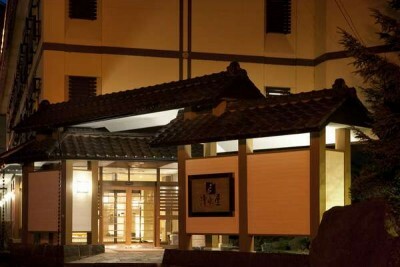 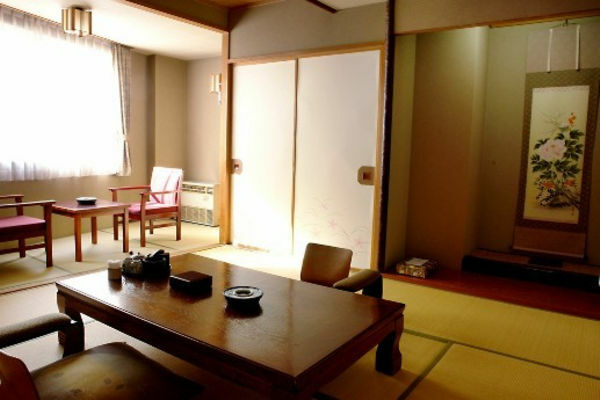 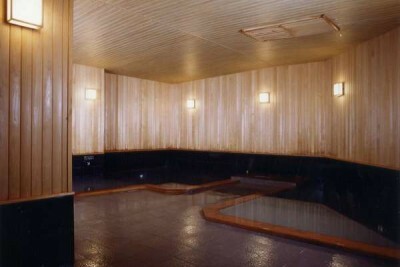 The ryokan was built 150 years ago, and is a health resort. 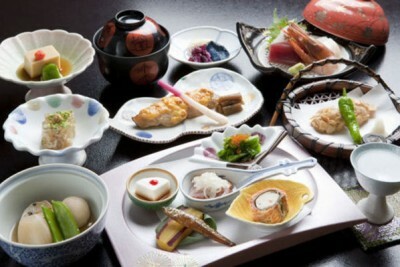 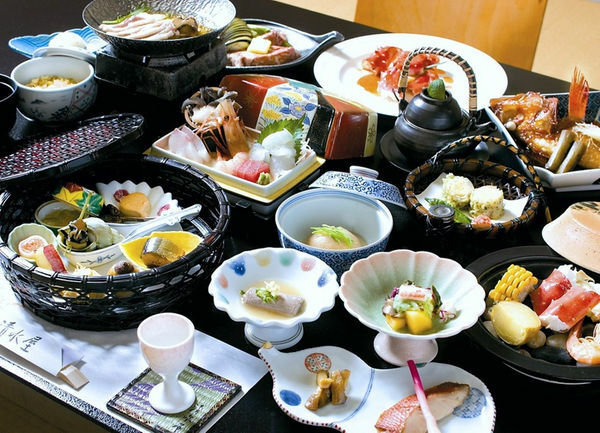 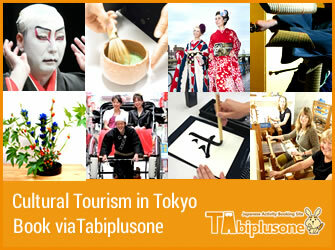 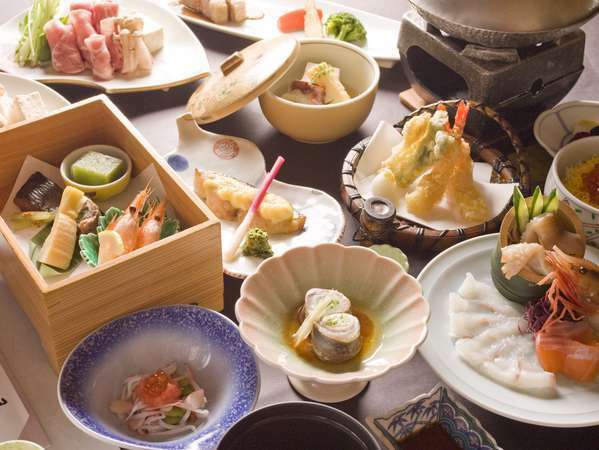 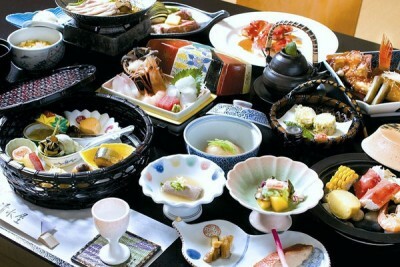 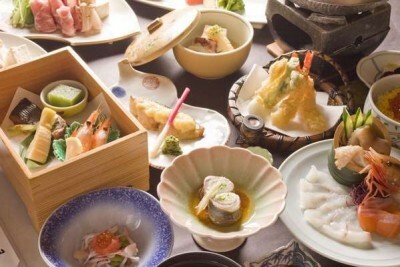 Tea ceremony dishes, Kaiseki Japanese traditional multi-course, made with local seafood products and vegetables. 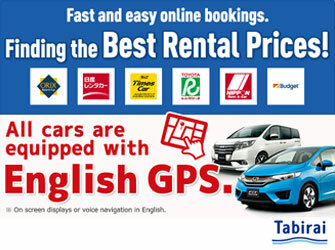 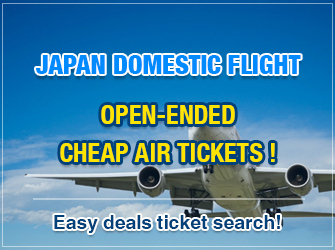 *The rates are those as of Feb 2016.